Switching careers can always be a difficult choice. Especially when you’ve gotten comfortable with what you do and don’t want to make the effort of starting something completely new. However, sometimes that’s exactly what’s necessary. For growth to happen, there needs to be room for improvement. And there’s not much room for improvement when you’ve learned all you can and reached the highest peak in your current career. You are slumped over your desk most of the time. The thought of going to work and getting up in the mornings for a full-day of work literally curdles your stomach. You have to try really hard to be excited about the next big meeting or an office presentation. And even then, you start daydreaming and decide to chuck it all and go open a bar close to the beach. Changing jobs is already considered somewhat of a big deal. So, imagine the pressure and effort in switching to a whole new career! Sometimes, you don’t actually have to change your career. There are times when you experience up and downs at work that make you feel like crying or dying or both. But a career change is, in fact, just what you need sometimes. And here are some signs that you need one at this point in your career. You find yourself in a state of constant frustration. You can never seem to relax, even when you get a new project or are assigned a new position. If you find yourself experiencing fatigue while you’re on the job, chances are you’re not doing something you’re truly passionate about. And if you’re not passionate about your work, rather than filling your life, your job will fill you with dread and boredom. In most cases, a simple job change can feel like heaven. There will be a new work culture, new employees to manage, more opportunities for a raise or even a promotion, and a whole new manager or team. Sometimes, however much you want the job, the thought of working in the same environment, at the same field fills you with dread, no matter the circumstances. You could be eating exotic chocolate and drinking the most expensive champagne. All of that wouldn’t matter if you don’t like what you do. Think carefully about what’s causing you the most grief right now. Is it your employers and co-workers? Your office space? Your company and its culture? Or your actual work? If it is, in fact, work, then you’ll experience a sudden lack of energy whenever you sit down to do your job for the day. You find yourself procrastinating all the time and getting sidetracked by the simplest of actions and events. Once you realize that it’s not your boss, your commute, your coworkers or your work environment that’s the problem, you’ll also realize that something needs to change or you’ll keep feeling the way you feel now. Maybe now would be the perfect time to consider a different career. If your current job doesn’t help you in building your knowledge and broadening your mind, then what are you doing? The human brain is constantly looking for new information to take in. If your current job is not taking you anywhere intellectually, is it really worth it? If you don’t have a five-year plan for your life with your current position in mind, then your job might not be worth it. 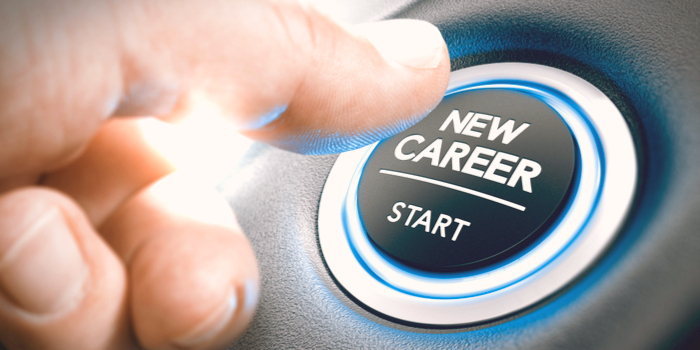 No matter the difficulty, finding and beginning a new job in a different career path might be the best thing for you. Learn more about the Washington judicial system. Find out how the judicial system in Washington operates!